The poetry editors, Rappahannock Review: Your intentional use of white space was something we found particularly interesting in reading your poems. What compelled you to use this form rather than traditional punctuation? What is the semantic difference between a traditional line break with punctuation and one of these white spaces? Robert Miltner: Your opening statement uses the phrase “in reading your poems” and that is what prompted me to explore alternative visual presentation of the text. Taken together, shape, as in lineated verse versus prose block, and white space, which in poetry is usually found in verse poems on the right side of the page past the line break, operate as a set of signals for readers on how they expect to read the poem. These Eurydice poems are a sort of fractured or fragmented prose poem wherein readers’ expectations are intentionally disrupted. I create a text site that challenges readers to revise their expectation and be open to the possibility of surprise, discovery. I’m breaching visual and textual boundaries here, and reconfiguring the open white space into liminal space between the “sentences.” The poem appears concurrently as both fragmentary and enjambed, which gives the poem, again concurrently, tension and energy. But there are other ploys at play here. The first is that the open white spaces occur in approximately the places I pause for breath when reading the poem aloud, so that the poetic form used here can be viewed as sort of “script” for how to read the poem—like sheet music for a musician—aloud. I discovered in the writing of these poems to blend spoken word poetry with oral traditions and with Charles Olson’s mid-twentieth century concept of projective verse in which he argues that the line break or its equivalent should occur where the speaker organically pauses for breath. And because the Eurydice story is from the ancient Greek, the shaping of the poems evoke the Sappho fragments, which challenge readers and their expectations to participate in constructing meaning by piecing the poem together out of the fragments that remain; in these Eurydice poems, I offer the art of writing to evoke the sense of artifact. RR: What about Greek Mythology in particular inspired Eurydice as your subject? Why did you choose to write from the perspective of her lover? RM: In the various tales of Orpheus, Eurydice is far less present—after all, she dies on their wedding day. Moreover, she is shown as being secondary to Orpheus to the plot line of their story. Some of that is built in: he is the son of the god Apollo and the muse Calliope; he is the god of music and poetry; she is a dryad and a nymph, and therefore a minor figure in the Greek cosmology. Yet his love for her is at the center of his tale. So I am bringing her out from shadows and into the light. I want to develop more fully the feminine presence of Eurydice in the masculine Orpheus tales; in my poems, she becomes his inspiration, his muse, rather than a mere minor character or stock figure: she is at the heart of his double loss, first as a victim by a satyr (the version I drew from for Orpheus & Echo) and second by the inability of Orpheus to not look back while leaving Hades. In the trio of poems you’ve selected for Rappahannock Review, I show the god of poetry writing, speaking, remembering what it was like at the beginning when he falls in love with her. We know from myth and tales how it ends, so by doing so, I trace his love for her from discovery and exposition along the arc of the narrative not only to loss but of his failed attempt to bring her back from Hades. I read Eurydice’s elevation to the role of muse as a metaphor for how an artist struggles with the loss of inspiration. The emotional power of a love story of loss compounded pulls at me because it is so profound. So yes, these poems had to be from his perspective. After all, they are love songs, and elegiac ones at that. Of the few times she herself speaks in the larger manuscript, Orpheus & Echo, she appears in his dreams. In these instances, she is a vision, an apparition, a hologram, a haunting memory. Orpheus ‘looks back’ at her through his poems, risking a third loss, yet in these memoirist poems, Eurydice stays. Memory is able to bring someone back to life, even if only for the fleeting moment of the poem. RR: What is your philosophy on poetry? What risks do you encourage young and developing poets to take? RM: The term poetry is grammatically a collective noun. It expresses the plural nature of this art, expressing its inclusive, fluid, and dynamic nature. I dream of a nonhierarchical utopia where villanelles, free verse, prose poems, documentary poetics, odes, narrative poems, spoken word, haibun, and all manner of experiments and curiosities are equal. For me, poetry contains multitudes. Risk can mean a hazard, a peril, a danger. Some young and developing writers avoid risk and act cautiously, playing it safe rather than putting themselves into what they perceive as insurance against jeopardy. Others find danger thrilling, like rock climbing for accomplishment, a grand view, or scuba diving where they enter a world as wondrous as a visit to another planet, or driving the California coastal highway with the top down, exhilarated with what unexpected turn awaits them when they arrive in the moment where the road crests. At such moments, risk becomes opportunity, openness, a figurative “happy” accident. Like Emily Dickinson, the risk pays off when writers dwell in possibility. I encourage students to risk failure. Samuel Beckett once quipped, “Fail, fail again, fail better,” and that process is one whereby we accept that we learn from failure, and rather than run from it, run with it. What we risk in running from it is imitation, replication, stagnation to the point where we parody our own writing. What we risk in running with it is repositioning, revising, relocating, and discovery. Yet risk involves exposure. Writing lyric-narrative poetry and nonfiction risks exposing the writer’s personal life to others, for in these genres, the first person singular is always the writer. In fiction and playwriting, the “I” is a character speaking. In Raymond Carver’s late poetry, he wrote a significant number of lyric-narrative poems about his life before, during, and after alcoholism. He risked them because for him they were necessary to write. But he negotiated that risk, shifting from the exposed first person to the third person objective, depending on the level of exposure he could achieve in order to say what might otherwise be unsayable. On occasion, he used the shifty second person which operates dually as both direct address and self-address. Carver was engaged in a kind of risk management that involved trusting his instincts. What this suggests is that young and developing writers can empower themselves with a clear understanding of what’s at stake and what the risks are, then find a way to manage the risk. Shift the pronouns for point of view and emotional distance. Determine which genre offers a safe stance: a narrative poem, a nonfiction memoir, or autobiographical story. Through wide reading and regular writing, developing writers can learn to intuitively trust the risks they take, an act that will aid them in their growth and progress as writers. RR: You are also an avid writer of fiction. How does your approach towards writing fiction, or more generally prose, differ from or intersect with that of poetry? RM: I’m fascinated with places where poetry and prose intersect, overlap, collide, blur, in the places where hybridity occurs. The interchangeability of narrative across poetry, prose poetry, nonfiction, and fiction becomes exciting when several genres are co-present and the boundaries blur, making the work transgressive. It’s thrilling to read, both as a reader and a writer, creative work like this. What we see is a layering of genres. We read it as a micro fiction for example, noting how it tells us a story, which is of course its intention, and find the piece aesthetically satisfying. But then, on second reading, we note that it is so autobiographical that it can additionally be read as work of narrative nonfiction that contains a clear arc of a story. And yet, the text contains musicality, a strong reliance on image, repetition, close attention to sound, and we recognize it as a prose poem as well. Such simultaneous and nonhierarchical use of genre brings a dynamism that is impressive. Lydia Davis is the master of such work, especially in Varieties of Disturbance; Nin Andrews in The Book of Orgasms is a book of surprises; Kazim Ali’s Bright Felon: Autobiography and Cities negotiates the intersections of self and site; Carol Maso as well, in Aureole, with its stunning musical prose singing on the page; and most recently, Claudia Rankine’s Citizen, a profound book that has won concurrent awards in poetry and nonfiction. Previously a writer had to choose which genre was most appropriate for the subject, but now writers can use as many as possible. The playing field has never been so democratic nor so inclusive. RR: How has teaching creative writing at Kent State informed your artistic process as a creative writer? RM: Well, teaching creative writing, or any form of art really, is a sort of educational and pedagogical anomaly, wherein both students and teachers engage in an open setting in which co-teaching and co-learning form a cyclical construct. Stimulating pop-up teaching moments abound. The texts for the class are written by the students throughout the semester, and more than that, the lives of the students can be the subject of the class, especially in poetry and creative nonfiction. To me, it’s the best of what the humanities has to offer. Theoretically, we educate from the community of writers that is the workshop, to the exploration of striking the balance between the impulse to create and the critical thinking inherent to the start-to-finish process, through the place where the writing rises toward art, to the point where what writers produce is the elegant solution—achieved through a negotiation between craft and theory—to the puzzle that prompts the creation of art: what to say, how to say it. And of course, teaching undergraduate students and graduate students is really about the same; the difference is evident in which parts of the whole are given emphasis at each level. The best teaching experience occurs where the students and the course, in an equal exchange, teach us, enriching us as writers. Every semester I’m engaged in a ritual and cyclical review of my craft, constantly refocusing on the skill set at the base of what good writing is, genre by genre. And every workshop is a laboratory of sorts, constantly questioning, probing, exploring, seeking the ways in which the work becomes most alive on the page. Some semesters I concurrently teach two or three genres; in others I have undergraduate and graduate classes; and at times, I mix in a multi-genre craft and theory class. Most recently I see how teaching informs me, influences me, is in the way in which my writing has become more genre-fluid. I no longer see just a star or trace a constellation, I take in the whole night sky. 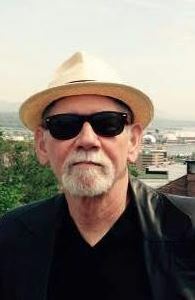 Robert Miltner is Professor of English at Kent State University and is on the poetry and fiction faculty of the NEOMFA. He has received a Wick chapbook award for Against the Simple, a Red Berry Editions Chapbook Award for Eurydice Rising, and the Many Voices Poetry Prize from New Rivers Press, selected by Tim Seibles, for the prose poem collection Hotel Utopia. A recipient of an Individual Excellence in Poetry Award from the Ohio Arts Council, Miltner was a 2015 finalist both for National Poetry Series and the Louise Bogan Award for Artistic Merit.